☞ DATE & TIME: Friday 28 September – 🍷Drinks and snacks available from 7pm at the cinema bar; 🍿Screening at 8pm. The screening will take place at the Luminor Hôtel de Ville cinema, centrally located in Paris’ lively Marais district near Hôtel de Ville. We will be offering a selection of Parisian beer, cider, cola, home-made cocktail and snacks during our cocktail hour from 7pm. The screening will begin at 8pm preceded by an introduction from the association Cœur de Forêt. Tickets available both online and at the cinema. 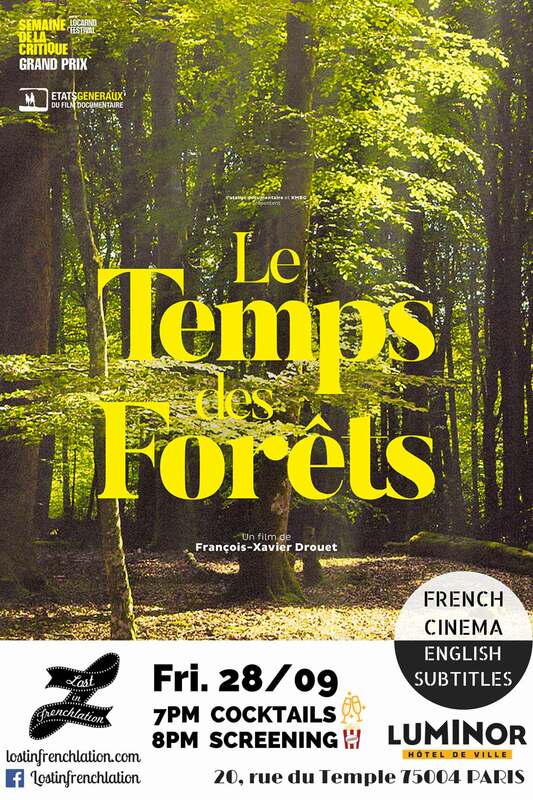 Don’t miss the documentary ‘Le Temps des Forêts’ to discover the French forest while learning how to save it on Friday, September 28th in true Parisian style – at the cinema!